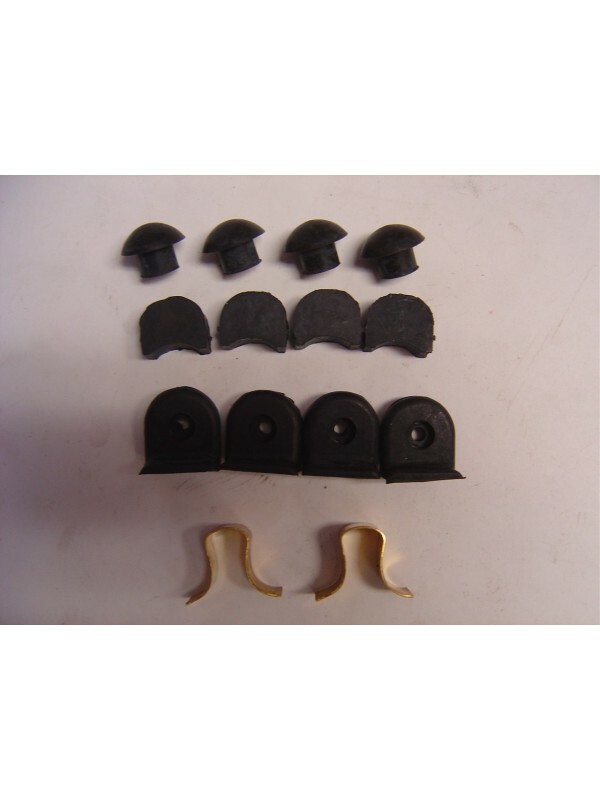 Door Bumper Set-Includes all door bumpers, dovetail bumpers and brass clips for both doors. These bumpers keep the door from rattleing, and as the car twists, it keep the doors in line with the car. This kit fits all 1928-1929 Roadster and Roadster Pickups.